What is Cowboy Movie Night? During the cold late Fall and early Spring months (October through April) and on the first Wednesday of every month at 6:30pm we show a cowboy movie, eat snacks, and have fun. You are all welcome; there is no cost. Having a cowboy name is optional, but encouraged! If you feel like bringing something to share all the better and we hope you make it. Mike Hansen AKA Scipio Sam (pictured above) is the head of Cowboy Movie Night; Mike is one of the Club's Directors. Now that the weather is improving somewhat, we turn our attention to outdoor activities as we ready ourselves and our kits for the spring roundup. We are busy greasing the wheels on the chuck wagon, shoeing our cow ponies and getting some trigger time with our peacemakers and Winchesters. In light of the busy spring approaching we will try to squeeze in one last Cowboy Movie Night into our ranch schedule. Our last movie of the year is a James Stewart classic, "The Man from Laramie." This is the last film that Anthony Mann directed with James Stewart. In their day, Mann and Stewart were as popular as John Ford and John Wayne. Mann directed Stewart in 10 movies; such notables as The Glenn Miller Story, Strategic Air Command, Thunder Bay, Winchester 73 and four other westerns. This movie follows a former army scout out for revenge as he tracks the individual responsible for supplying rifles to the Apaches who use the rifles to massacre an army cavalry patrol that included the scout's younger brother. Run time is 104 minutes. I don't know about you but I am getting tired of being cooped up in the bunk house playing checkers and working on leather crafts. The only time I get out is to shovel a path to the "little house" or a path to the barn and stable or to the cook shack or to break up the ice on the water troughs with an ax. I'm definitely looking forward to the spring round up when the warm Chinooks blow out of the northwest and the times I can sleep under the stars on top of my blankets instead of under them. In the mean time, drag your cowboy posteriors out of the stale air of the bunk house and get out to the Sheboygan Rifle and Pistol Club for Cowboy Movie Night. Wednesday, 6:30 PM. Bring your idea of a snack and enjoy the company of like minded folks who enjoy the western genre of film. 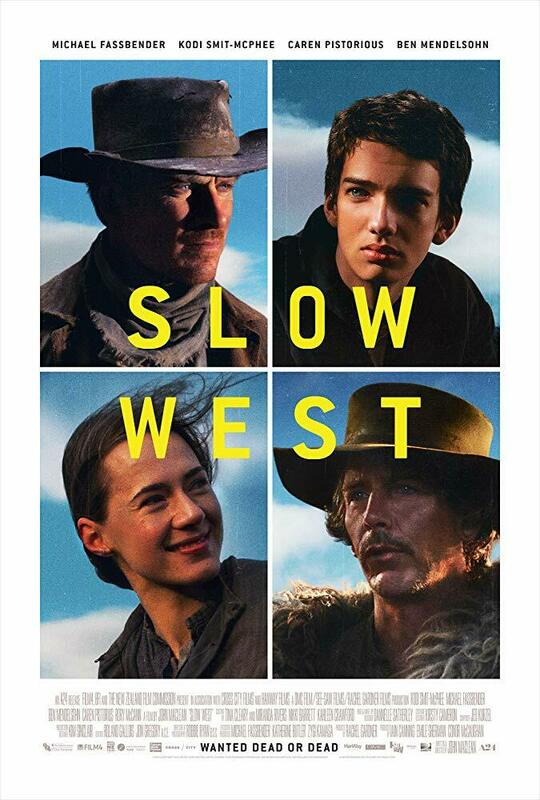 This week's feature will be Slow West. This film is Scottish Director John Maclean's debut as a director. John Maclean also wrote the story. The film features Michael Fassbender, Kodi Smit-McPhee, Caren Pistorius and Rory McCann in starring roles. The film is another example of foreign film makers delving into the American Western genre. The movie is filmed in New Zealand and Scottland but set in the west, specifically, Colorado. The movie opened at Sundance in 2015, is rated 4 stars in Rotten Tomatoes, 3 1/2 stars on Netflix. Running time is 84 minutes. Jay Cavendish travels to America in search of his love interest, Rose. Rose and her father have run to America after an accident that killed Jay's uncle. Sixteen year old Jay is a "rabbit among wolves." Jay meets up with Silas Selleck, a bounty hunter, and Jay hires him to guide him and act as a body guard as he continues to search for his dear Rose, Competition for locating Rose, however, leads to some high adventure and entertaining encounters. It's once again time to bank the fire in the bunkhouse stove, damp it down for the night, grab you mackinaw and head to the Rifle Pistol Cub for some old fashioned "talkie" entertainment. 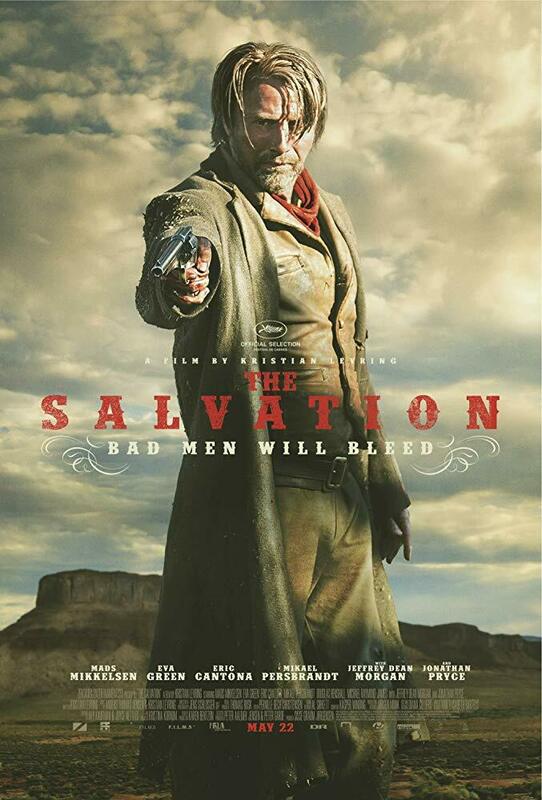 We will be watching "The Salvation," starring Mads Mikkelsen, Ava Green, Jeffrey Dean Morgan and Eric Cantona. The movie is a Danish film directed by Kristian Levering and filmed in South Africa. The movie released in 2015 features American like western vistas and sets built from the ground up; no false fronts. Real buildings were used. The production follows a basic revenge/avenge template. Set in the 1870's a Danish Army veteran and his brother immigrate to the American west and establish themselves. Jon Jensen brings his wife and son over and they are murdered. Jon, while avenging the death of his family, unleashes the wrath of a notorious gang leader. After being betrayed by his own townspeople, Jon must hunt down the outlaws alone. Rated at #46 on Rotten Tomatos list of best 100 westerns of all time. Bring a little grub to chew on and remember, "No spitting on the floor." It's time to take a break from winter ranch chores (sorting horseshoes, repairing saddles and chaps, cleaning branding irons and splicing lariats) and relax for another evening of Cowboy Movies. The next showing will hopefully be "The Ballad of Buster Scrugs." 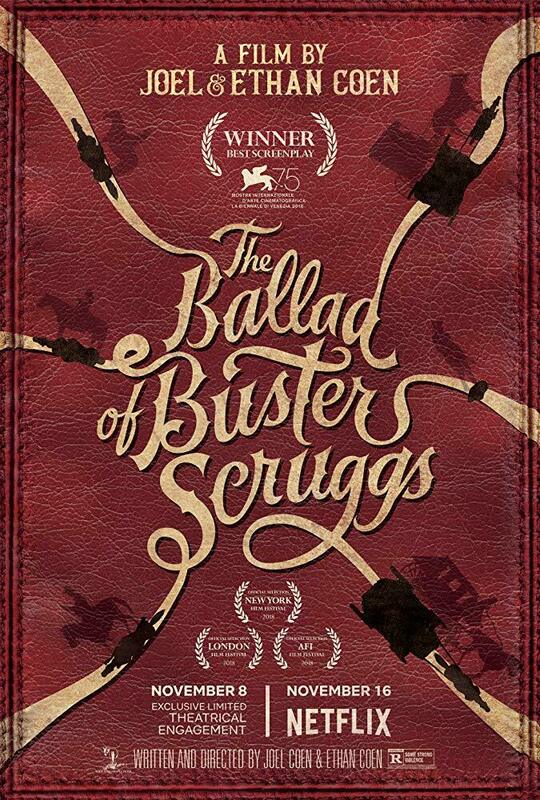 "The Ballad of Buster Scrugs" is another classic film work from the Coen brothers. You may remember the Coen brothers for some of their previous award winning work such as True Grit, Fargo, Oh Brother Where Art Thou, No Country for Old Men and the Big Lebowski, to name a few. This 2018 production breaks with tradition and is an independent film that is not held to any restrictions that may be imposed by a studio. The Coens directed this film produced for NETFLIX. The format of "Buster Scrugs" is presented as an anthology of six separate and distinct stories from an old dime western. The six stories are not tied together in any way. They stand alone. This may be difficult for some viewers to deal with. All six stories provide entertainment in their own way. The script is lively and engaging. The cinematography is outstanding and the casting is perfect. The cast includes Tim Blake Nelson, James Franco, Zoe Kazan, Tom Waits, Liam Neeson and Jonjo O'Neal. Since this is a NETFLIX movie we will have to stream it through the internet. If the Hekawi tribe, led by Wild Eagle, haven't disrupted our connection we should be in for an entertaining evening. Just a quick reminder concerning Sheboygan Rifle and Pistol Club Cowboy Movie Night, Wednesday, December 5th, 6:30 PM at the clubhouse. 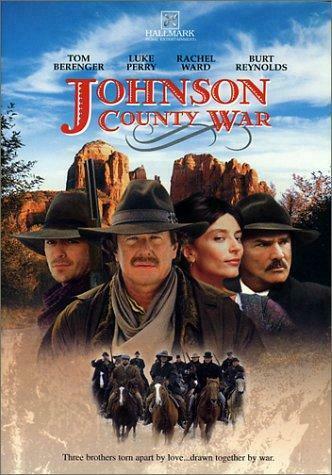 The feature movie will be "Johnson County War" starring Tom Beringer, Luke Perry, Rachel Ward and Burt Reynolds. Release date was in 2001 and running time is 178 minutes. The movie is based on the Range War that occurred in Johnson County, Wyoming between 1889 and 1893 with the hottest action in 1892. The event was termed by Wyoming historian T.A. Larsen "the most notorious event in Wyoming history." Basically, wealthy cattlemen and members of the Wyoming Stock Growers Association resented the small ranchers and homesteaders who were beginning to occupy "free range" under the Homestead Act. Members of the Stock Growers Association ignored the rights under the Homestead Act and acted on their own to put a stop to encroachment by the "peasants." The wealthy cattlemen tried to scare the small ranchers out of the territory through use of violent intimidation. They went so far as to develop a list of 70 ranchers and farmers targeted for assassination. The Association brought in hired guns to do their dirty work. Most of the situations in the movie are based on actual occurrences. However, the names of people and places are not, in all cases, historically accurate. The town of Antelope in the movie would have been Buffalo, Wyoming. Sheriff Frank Canton, played by Burt Reynolds, was the actual leader of some of the assassination squads who shot and hung the homesteaders. He was, in fact, in the employ of the Stock Growers Association. The shooting war was finally quelled by federal troops from Fort McKinney sent by President Harrison. Many years of trials, acquittals and political intrigue followed well into the 20th Century. Cowboy Movie Night! The first Wednesday of every month at 18:30 we show a cowboy movie, eat snacks and have fun. Having a cowboy name is optional but encouraged! Our first flick in November was the Herb Kohler western “Open Range” with some Costner and Duval guys, and it was great! “Scipio Sam” (Mike Hansen) has our next movie lined up already for December and we hope you can join us “The Analog Kid” (Russ Marganau). Boss Spearman (Robert Duvall), Charley Waite (Kevin Costner), Mose Harrison, and Button free-graze their cattle across the vast prairies of the West, sharing a friendship forged by a steadfast code of honor and living a life unencumbered by civilization. When their wayward herd forces them near the small town of Harmonville, the cowboys encounter a corrupt sheriff and kingpin rancher who govern the territory through fear, tyranny and violence. Boss and Charley find themselves inextricably drawn towards an inevitable showdown, as they are forced to defend the freedom and values of a lifestyle that is all too quickly vanishing. Amidst the turmoil, life suddenly takes an unexpected turn for the loner Charley when he meets the beautiful and warm spirited Sue Barlow, a woman who embraces both his heart and his soul. It was nominated for Golden Schmoes 2003 award for the "Best Line of the Year: "Men are going to get killed here today and I'm going to kill them." It was the 2004 winner of the Western Heritage Award's "Bronze Wrangler" for Best Theatrical Motion Picture.